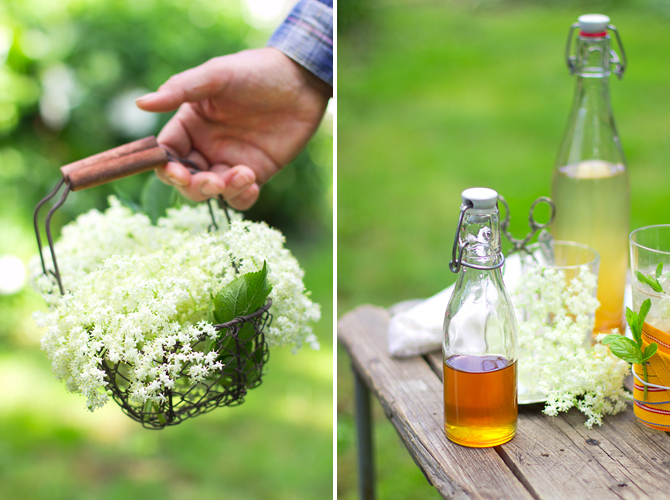 Right now is a good time to make your own elderflower cordial. Luckily for me the jungle next door is lined with countless elder trees with clusters of elderflowers extending over our garden, ready for picking. Making the cordial is fairly easy but does involve quite a few waiting hours. Although it can be used in many desserts, I like it simply made into a refreshing fizzy lemonade by adding a good amount of soda water, ice and mint. This is me holding the first strawberry of the season before wolfing it right down. (Taken two weeks ago, mind you.) We replanted our whole strawberry patch this spring so berries are scarce this summer. Somehow, I will have to survive. 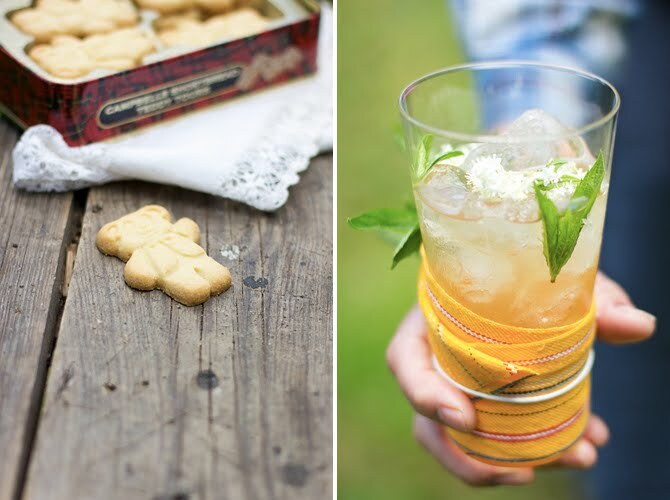 Toss the cleaned elderflower clusters and lemon slices into a big jar or pot. Boil the water with sugar and citric acid until completely melted. Cool slightly and pour over the elderflowers. Let infuse for 3 to 4 days in the refrigerator. Strain through a cheesecloth and pour into bottles. Lahe!!! Me ootame oma leedripuuõisikute valmimist umbes järgmisel nädalal. Ilmselt teen esmalt frititud õisi ja kui üle jääb, siis siirupit. (Selles järjekorras, sest siirupit saan ökopoest osta, aga õisi mitte). Great pictures - I love your blog ! This is so lovely. I just found your amazing blog and already love it.Your pictures and recipes are so inspired, and I like the clean and bright layout...Very beutiful. Pille, meil õitepuudust ei ole, saaks mitu vannitäit. Krunt on kahelt poolt ümbritsetud vohava džungliga, kus leeder tunneb end suurepäraselt. ok ... ma ametlikult armastan teid! 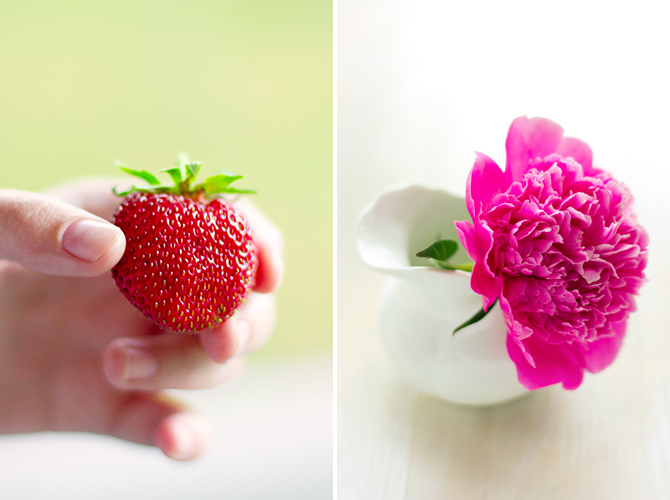 I have only just discovered your blog, but everything is so beautiful! Your pictures are so beautiful and I love your styling.